I love cheap and easy crafty projects. Craft supplies get expensive especially when you have a kiddo who changes what she likes more frequently than her clothes. 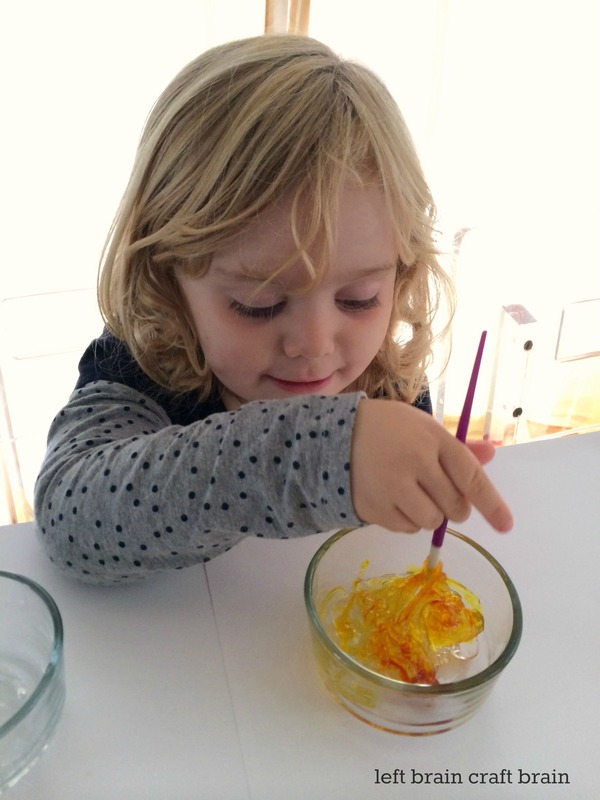 Today’s Five Minute Craft uses only two relatively cheap ingredients: hair gel and food coloring. 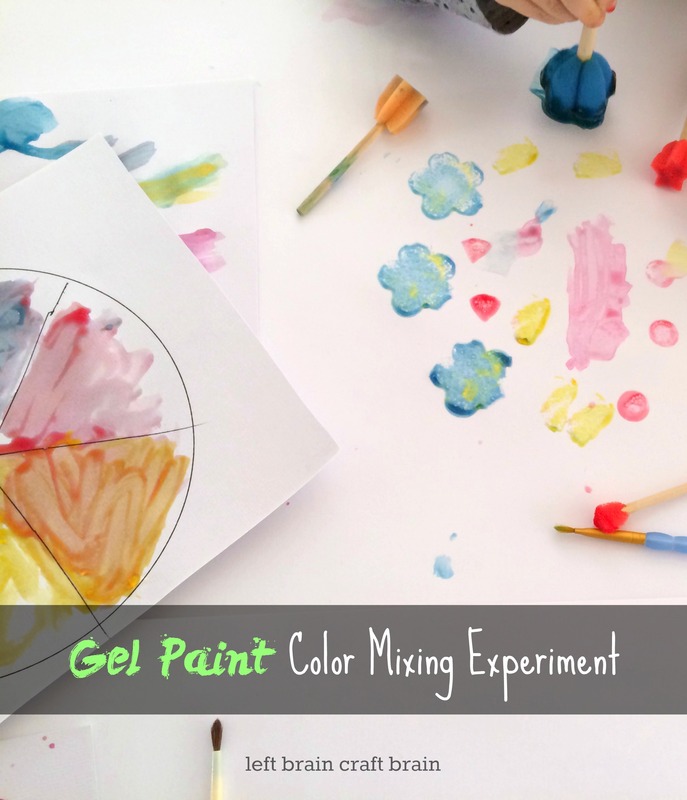 If you haven’t made gel paint yet, do it! You can get such gorgeous colors with lovely transparency. And the texture is fascinating for finger painting. I picked up a big bottle of clear hair gel at the dollar store and added food coloring I already had in the cabinet (About 5 drops of food color per tablespoon of gel used). Mixing it was part of The Babe’s fun…. Something about the transparency of the paint made her really into mixing colors, so I whipped up a quick wheel for her to color in. Cheap and easy craft turned learning experience? Even better :) She found it interesting how the colors changed as she layered on more of the paint, too, so we talked a little bit about transparency. And then she got tired of the structured painting, so it became a gorgeous gel free-for-all. 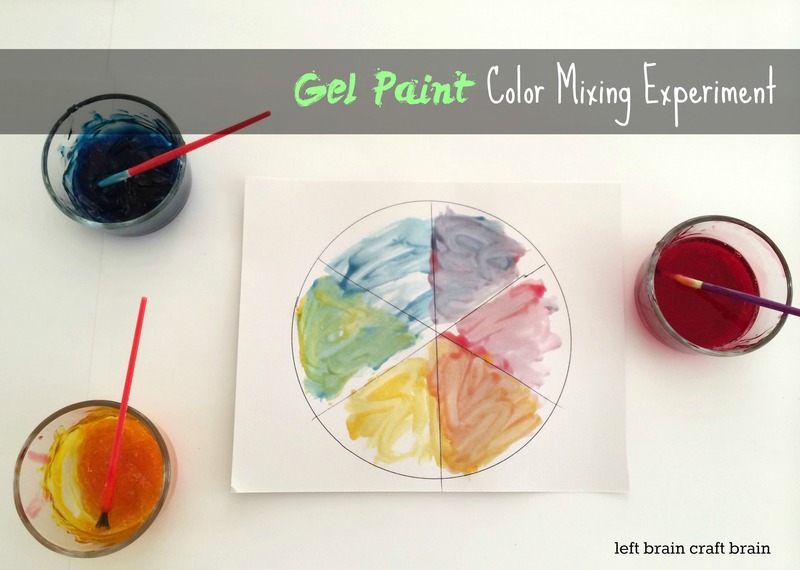 For more fun ways to explore color, check out my Color Creativity Pinterest board.